I had a wonderful day of crafting yesterday and managed to make about 6 cards, this is one of them. I used layers of DP from the Heart of Home 6 x 6 paper pad, the sentiment is heat embossed and popped up with foam tape. 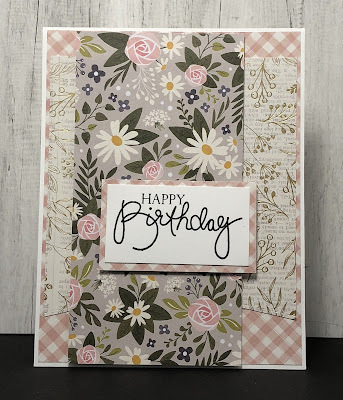 Supplies: White cardstock, Designer Paper - Jen Hadfield, Papertrey Ink - Birthday Bash Sentiments.